August 2012 Market Statistics The Northwestern Vermont Board of REALTORS has released its real estate market statistics for August 2012. The information is derived from data contained in the Northern New England Real Estate Network and covers Chittenden, Franklin and Grand Isle Counties. Monthly market statistics reports are sponsored by NorthCountry Federal Credit Union. New listings in the three county region decreased 7.8 percent to 249 listings. Pending sales were up 7.1 percent to 167.Inventory levels shrank 19 percent to 1,150 units.Prices moved higher. 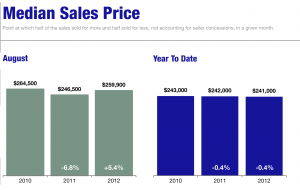 The median sales price increased 5.4 percent to $259,900. Days-on-market was up 2.8 percent to 94 days. The supply-demand balance stabilized as the months' supply of inventory was down 27.6 percent to 8.7 months. 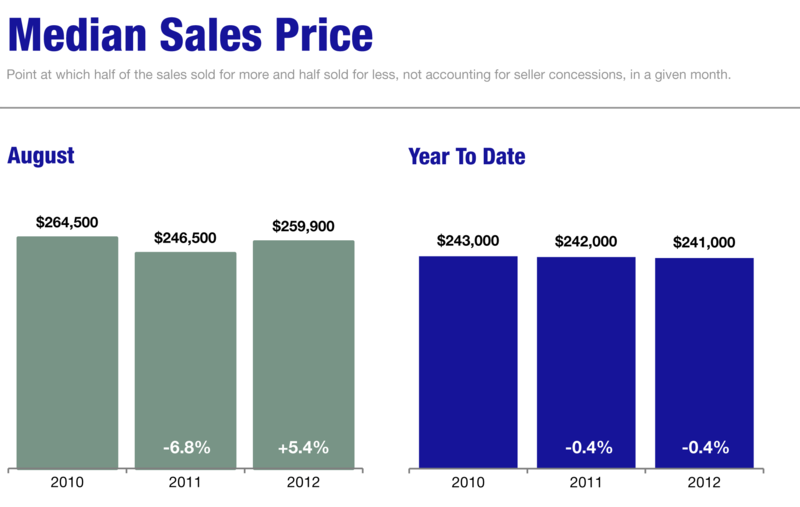 The median sales price for the region is nearly at a two-year high. said Kathy Sweeten, executive vice president of Vermont Board of REALTORS. The expectation is that well start to see homes sell in less time and for closer to list price in the coming months.